The National Manufacturing & Supply Chain Expo returned to Coventry’s Ricoh Arena on the 26th June, bringing manufacturing specialists, agencies and academics together for one day of exhibition, presentation and debate. Key topics included: procurement, manufacturing, optimisation, energy management, material handling and much more. 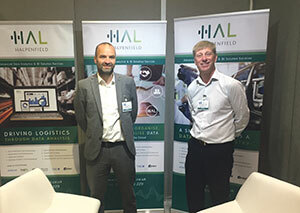 Among the show’s top exhibitors, Halpenfield showcased its range of business intelligence solutions to overwhelming commendation. Halpenfield is a leading data analytics and bi specialist solutions company that believes good data driven decisions lead to better business outcomes. Halpenfield brings their expertise to clients to help them organise their data, whether that is on premise, cloud or both, allowing them to analyse and share data through reporting, dashboards or embedded applications. This allows for a visualisation of data, that helps discover insights and make informed decisions. During the show, visitors were remarkably surprised by the company’s commitment to exceptional customer service, utilising data professionals to help clients design, build and manage analytics & reporting solutions. This enables clients to make knowledgeable and informed decisions that can predict results & offer clients a better business insight. On the other hand, industry peers were noticeably impressed with the company’s guidance on business implementation of industry intelligence and analytics platforms.